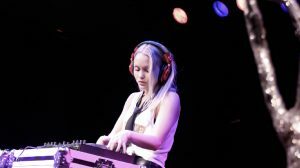 – is a music producer with a recording studio in Brewhouse, Gothenburg Sweden and she earned a bachelor degree in music production from University of Dalarna even though she has worked many years as a producer before that. – has produced artists Aurelia Dey, Malin Mellow, Sallyswag, Fillip Williams, Doreal and many more. – one of her production albums was nominated in Manifestgalan 2017 to rhythm of the year award. She is co-founder of an non profit organization called EQLovesMusic, which runs projects in music production and gender equality. In 2018, she was project manager for EQLovesFestival, which attracted female world names in music production.